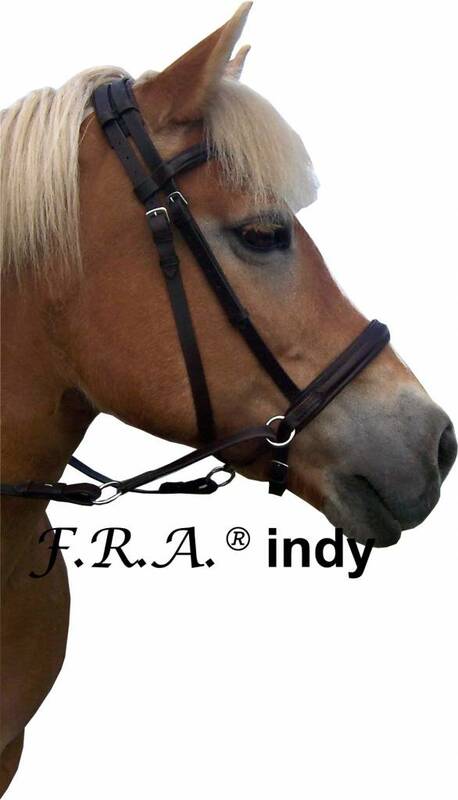 The cross under Bitless bridle Indy from FRA with slightly hanging browband. 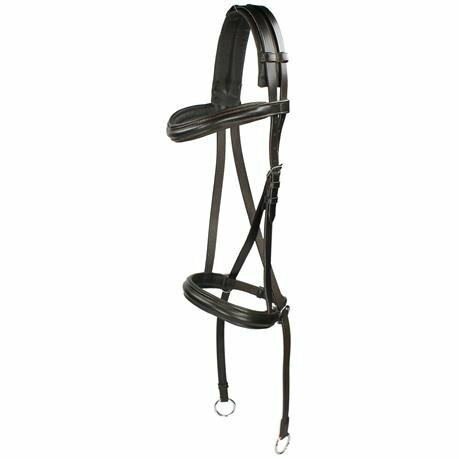 The profiled leather on the front and noseband gives the bridle a luxurious look. 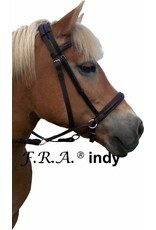 The bridle is softly padded behind the ears and on the nose. 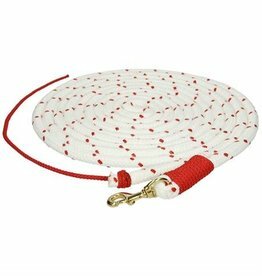 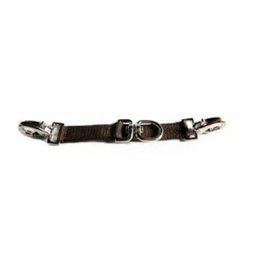 The crossed flat leather straps are reinforced with Polypropylene and have a good release. 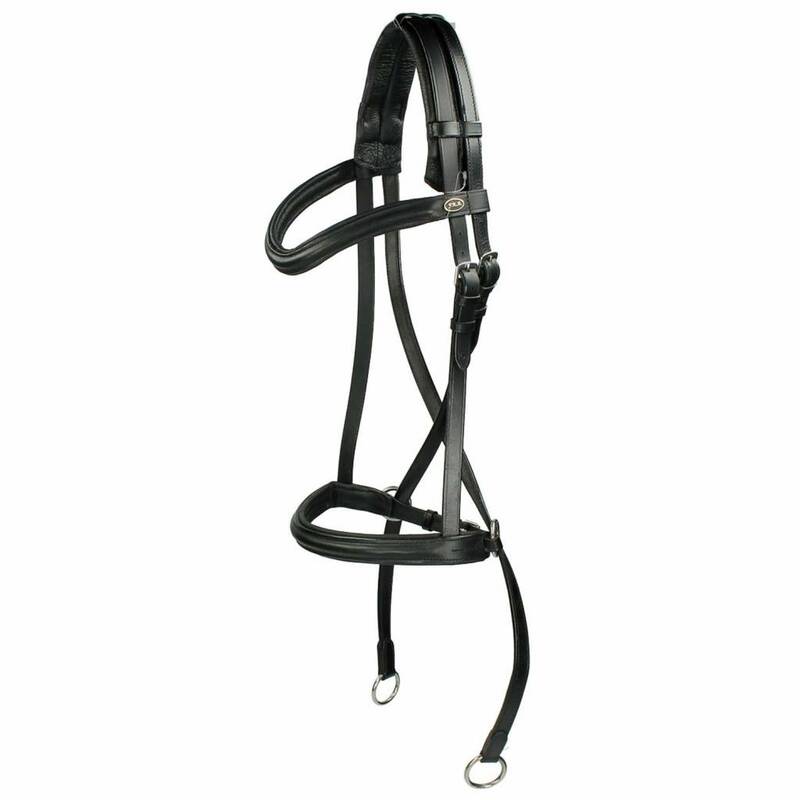 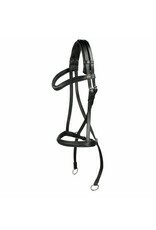 The crossed straps are equipped with metal rings for rein attachment. 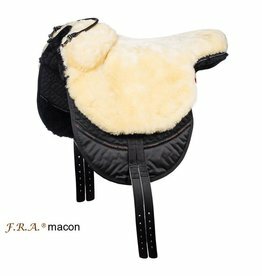 The rein is made of leather with Samour closure. 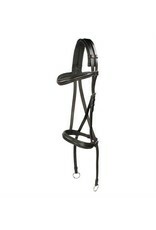 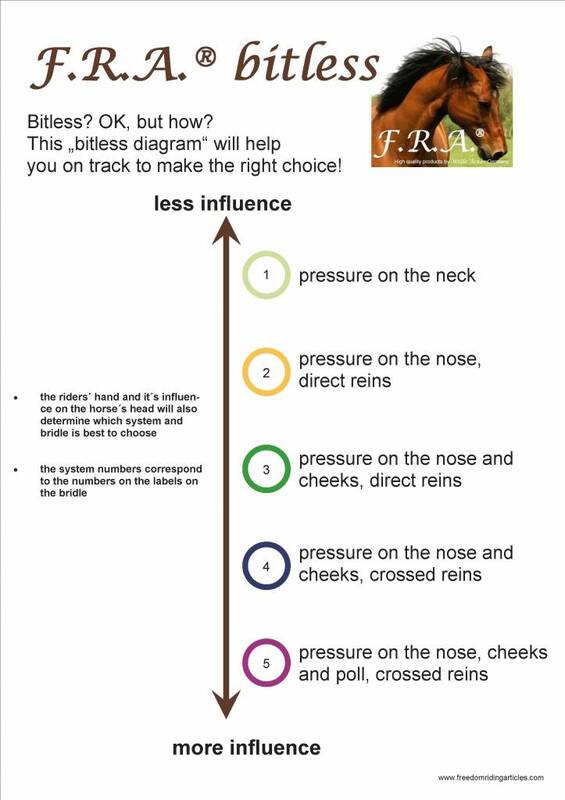 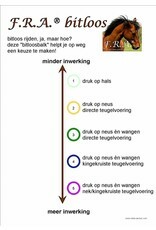 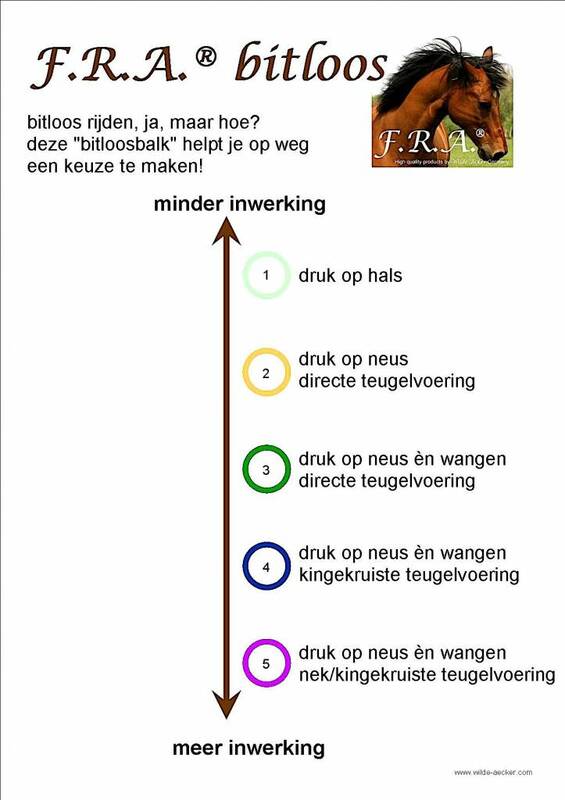 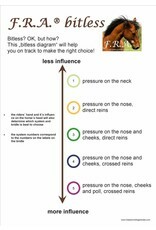 The bitless bridle Indy falls under the category 5 of the Freedom Riding Articles bitless diagram.